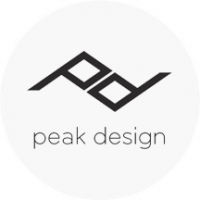 The mission of Peak Design is to enable photographers and outdoor/adventure enthusiasts to better capture the beautiful world around them. We will do this by designing and building innovative, thoughtfully composed, ultra-durable products that are easy to use and versatile. Right now our aim is to help people better transport and physically manage their cameras, but as time goes on we will continue to tackle other ubiquitous pain points that photographers and outdoorsy people face. We believe that wherever you go and whatever physical activity you do, your camera should be right there with you.